Ricardo Gonzalez, an artist representing Illinois was named as one of ten finalists in the national Jose Cuervo Tradicional Mural Project 2012 and will compete for a $15,000 grant. The announcement was made at a ceremony in Los Angeles. The ten artists from across the United States are now commissioned to create original mural paintings inspired by their passion for Latin culture and the Jose Cuervo Tradicional bottle. The ten finalists were selected based on submitted art portfolios and a personal essay. Finalist Gonzalez, will produce an original mural between now and October, with the unveiling taking place in Chicago on Nov. 8. 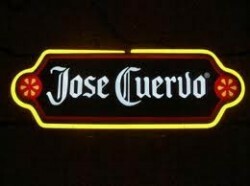 A Jose Cuervo Tradicional Mural Project 2012 winner will be selected by public vote in late October. Completed murals will be photographed and posted on the project’s Facebook page, www.facebook.com/losamigosdejose, where consumers 21 years and older can vote for the mural they find most inspiring.